Ed & Mary’s Pints for Pups and let’s not forget about kittens. 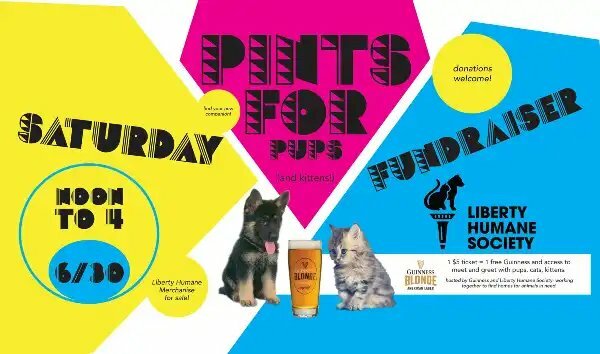 Ed & Mary’s located at 174 Cole Street in downtown Jersey City and Liberty Humane Society along with Guinness would like you to join them at their fundraiser to raise money for animals who need homes. The purchase of a $5 ticket, enjoy one free Guinness and all proceeds from the event goes to charity.